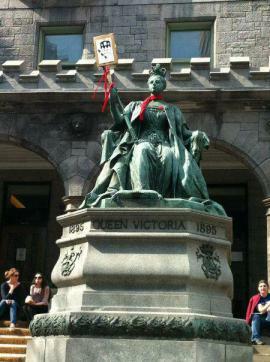 Tune in to All Things Mcgill for two one-hour specials on the student movement and strikes against tuition hikes. Learn about McGill-specific mobilization and its many facets, some arguments behind tuition increases and the place of McGill University in this province-wide movement. On March 26 we talked to Joel Pedneault of the SSMU and Camilla Gordillo of the currently striking Geography Departement about these and other issues affecting the student movement. This coming Monday April 2, from 11 am to 12 pm, tune in for part two of the discussion.